These are from real buffalo, not from water buffalo. They come from a ranch in the U.S. and have been cooked and cleaned. 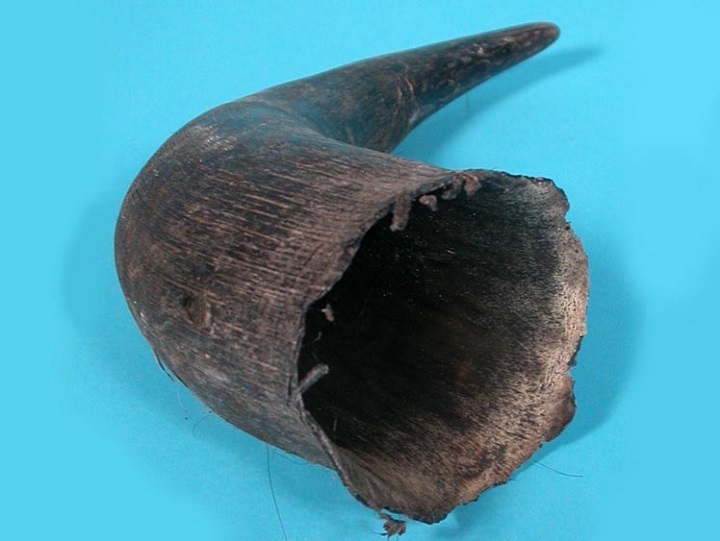 The horns are all from bulls and measure 28 to 33 cm on the outside curve and 25 to 28 cm in circumference at the base. The diameter across the base is approximately 8 to 10 cm. The horns are hollow on the inside. Only the very extreme tip is solid. The price is per horn (not per set). On average, they weigh 230 grams per horn or 454 grams for two horns. We often get requests for matched sets. The horns come in loose. We can do our best to get horns that match as well as possible. This takes time to sort through the horns and we charge an extra C$15.00 per set for labor. These animals are not endangered and are not subject to CITES controls. 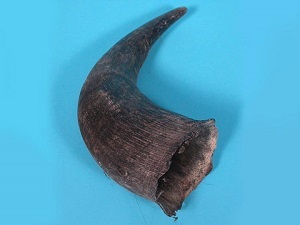 The horns come from ranch-raised buffalo and are a by-product of the food industry. The buffalo were not killed just for their horns. For exports outside of Canada, please check with the customs authority in your country before ordering to make sure you can import these into the country. We cannot provide a veterinary certificate for these horns. It is impossible to import these into Switzerland without a veterinary certificate.